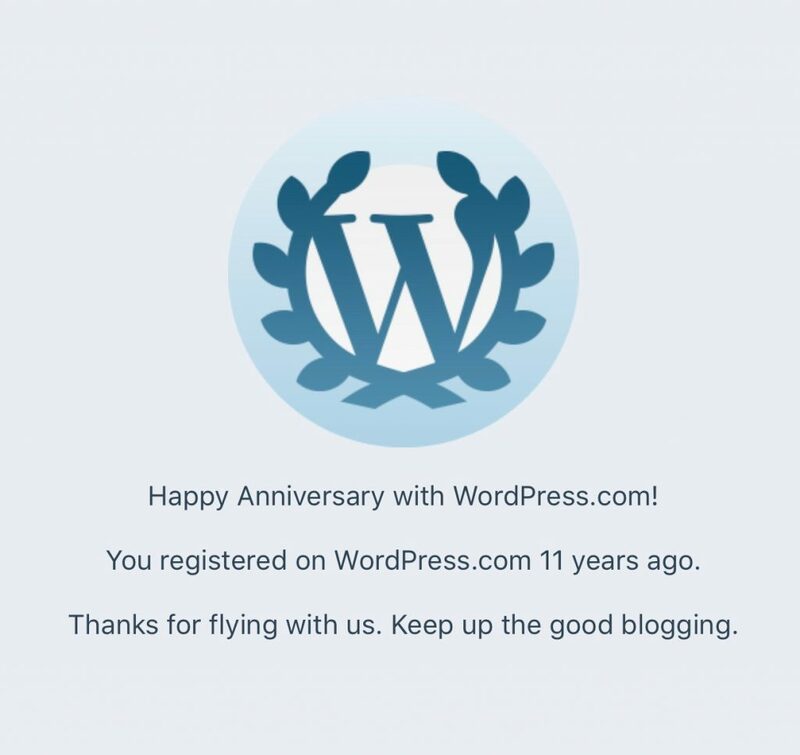 It’s almost surreal to think that I started my first blog on WordPress.com on this day 11 years ago. I still remember the day when I started my first WordPress.com blog. I wanted to reach more people globally through my writing, so I wanted to write in English. That’s why after one year of blogging in a community blogging platform in Bangla, I created a free blog on WordPress.com. To say that the beginning of February was awful would be an incorrect statement. The month did begin with a lot of excitement as I got my driving license right on time. It’s a miracle if anything happens on time in this country, especially when the government or any aspect of it is involved in the process. Luckily, I got the license on time. The learning of driving a car and getting a driving license deserve a post of its own. But I decided to write about that later as I choose to post about things in order of importance rather in the order they happen. You probably already know what this blog is all about. But this is so cool that it needs an introduction anyway! Three-letter domains are extremely rare and expensive. Thanks to Automattic, the company behind WordPress.com which is also where I work at, I have secured this three-letter domain, ais.blog, with a brand new TLD, .blog. If you know me, you already know that over the years, I’ve started numerous blogs but have not always been active on them. The downside of that is that I lost in touch with what I call ‘core blogging’, which is how I got into writing in the first place. With this blog, I plan to begin again. My old site at aisjournal.com will continue to exist, but new content will be added to this blog instead. The plan going forward is to start writing on various topics covering my work, life, movies, music, photography, travel, and of course, reviews of gadgets and tools that I use on a daily basis. Don’t get me wrong, I don’t intend to start yet another review site here. As the domain suggests, this is a blog, and it will remain so. Everything written here will be personal. As a tech enthusiast who also works in tech, my life is surrounded by gadgets, apps, and tools. If you’re of a similar mindset, you totally should follow the blog! In the past, I’ve made the mistake of making my blog totally tech. While that is fine, I do think that the personal blog needs to have a personal touch to it too. That’s what this blog will get. It won’t be all about tech. It will have blog posts that cover all aspects of life. Well, only what my life and mind go through, that is. Update: I decided that I will not let the old blog AIS Journal die. I’ll keep practicing blogging on a regular basis over there. For details on what I plan to do, read this post over at AIS Journal. To learn more about me, check out the About page here. Want to drop a note? Comment on any post, including this one, or send a message here. © 2016-2019. All Rights Reserved. Please do not republish/reprint without prior permission. Excerpts with backlinks are welcome. Subscribe to the AIS.blog mailing list of my blog. You may receive up to 2 emails per month. If you're interested in receiving emails every time a new post is published, click here. Thank you for subscribing. A confirmation link will be sent to your inbox to confirm your subscription. Maximum 2 emails per month; no more, perhaps less. Absolutely zero spam.